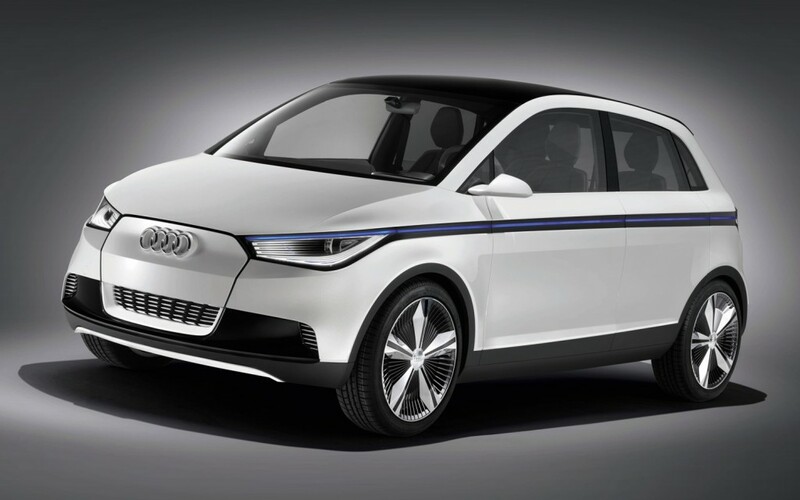 Audi are working on an EV version of the Volkswagen up! due to go on sale in 2015 for less than € 30,000. 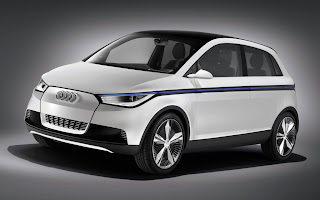 Audi's e-tron will have 116 (85 kW) and 199 lb-ft (270 Nm) from its electric motor which should be enough for a 0-62 mph (100 km/h) in a decent 9.3 seconds with a top speed of 93 mph (150 km/h). The battery will provide enough juice for up to 125 miles (200 km) before recharging, more than the up! which has a 18.7 kWh battery pack good for only 93 miles (150 km).